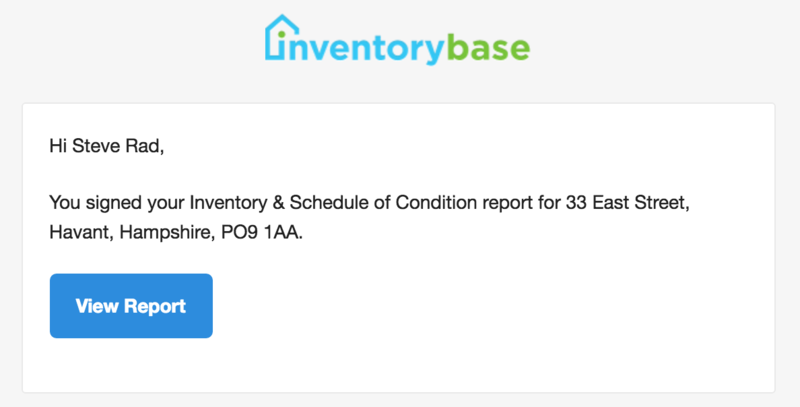 The following is a list of all automated emails in various scenarios that InventoryBase will send automatically to clients, tenants or other users when certain events occur in your system. Sent to new clerks/managers/typists when created, if Send Login Details is checked. Sent to new clients when created, if Send Login Details is checked. Sent to team or client user when using Forgot Password, or when a new password is issued via their profile by a manager. Sent to Admin and Client, excluding the user who created the inspection. Sent to Admin, Client and Clerk excluding the user who made the update. Sent to the assigned Clerk. Sent to the unassigned Clerk. Sent to the Admin and the Manager who created the Inspection if not the same user. Sent to the Admin, creating Manager, assigned Clerk and Client. Sent to Admin, creating Manager and assigned clerk, excluding the user who added it. Sent to the Admin and creating Manager, excluding the user who submitted it for review. Sent to the Admin, creating Manager and assigned Clerk, excluding the reopening user. Sent to the Admin, creating Manager, Client and any Signees including landlord/tenants. Sent to the recipient of the manual report share. Sent to the Admin, creating Manager and Client. Sent to the Admin and creating Manager and Client.